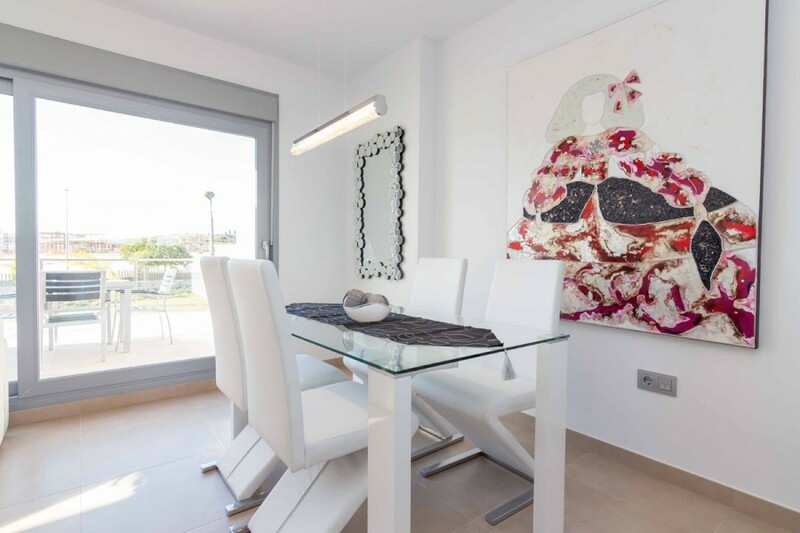 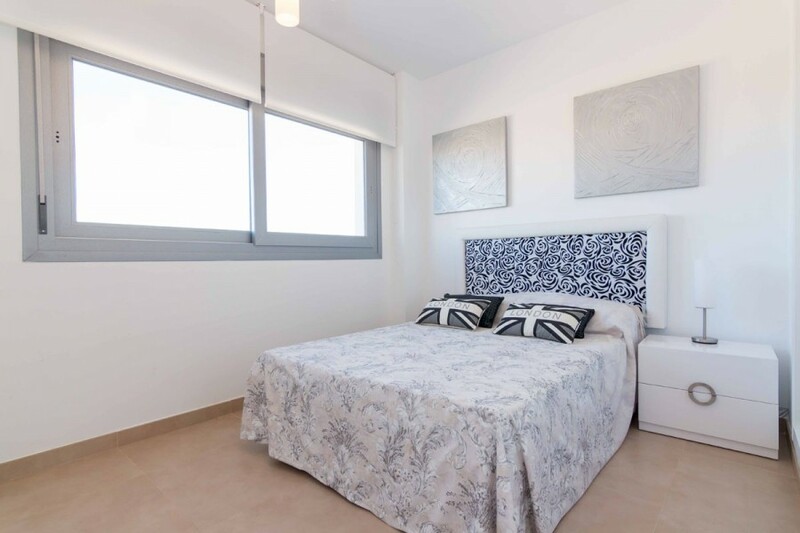 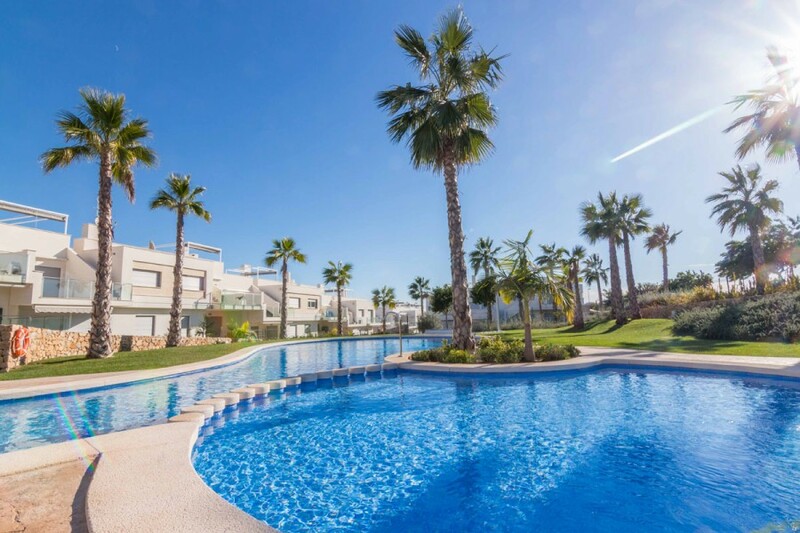 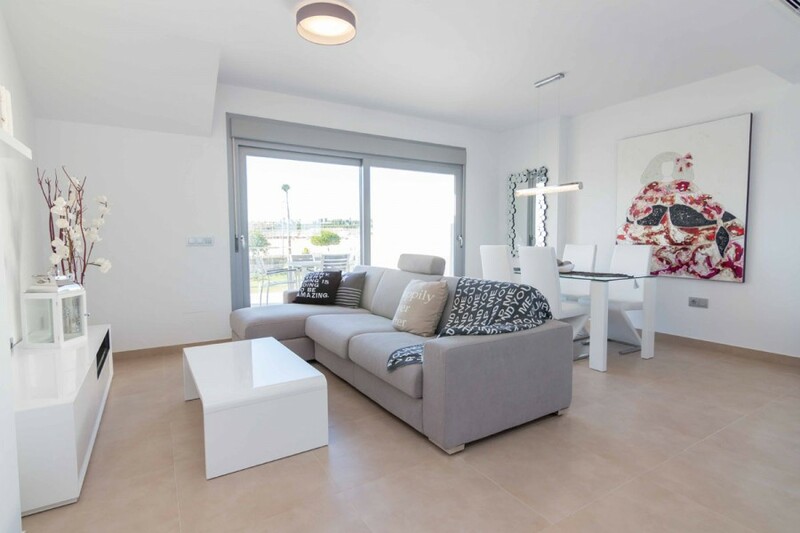 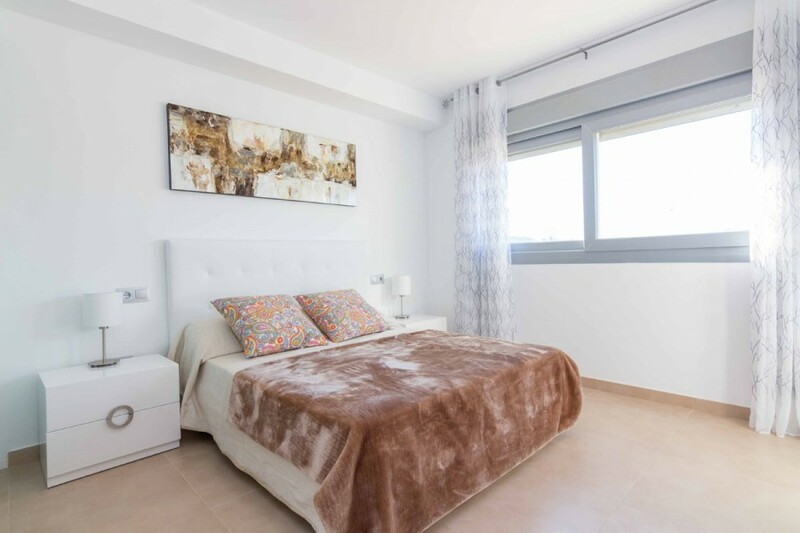 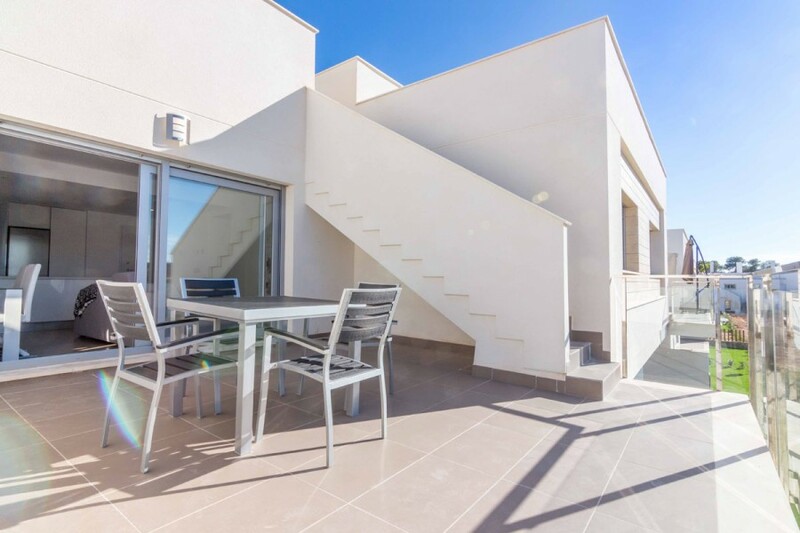 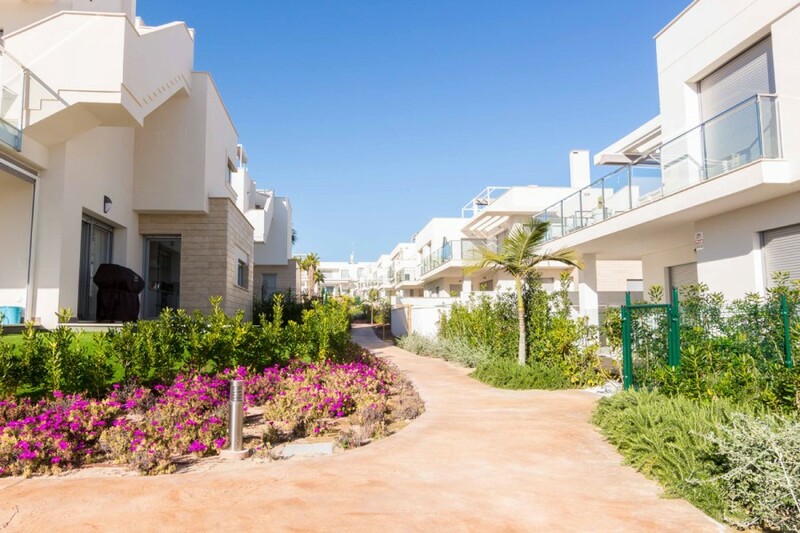 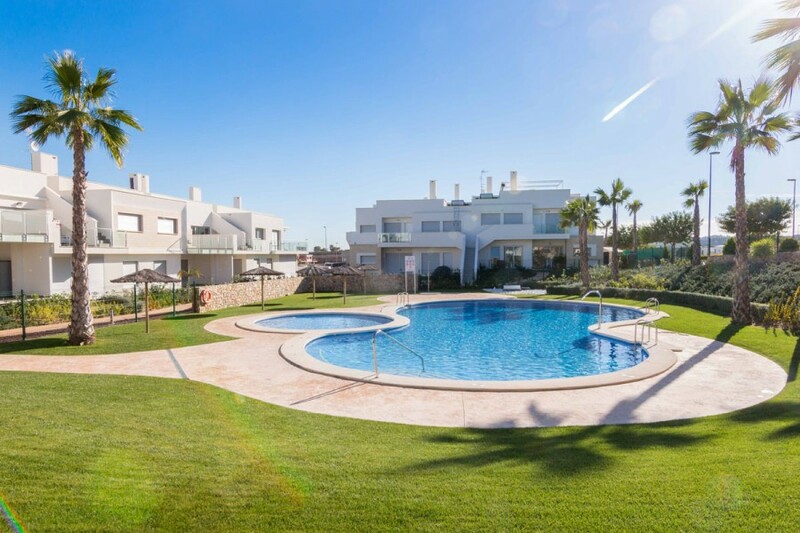 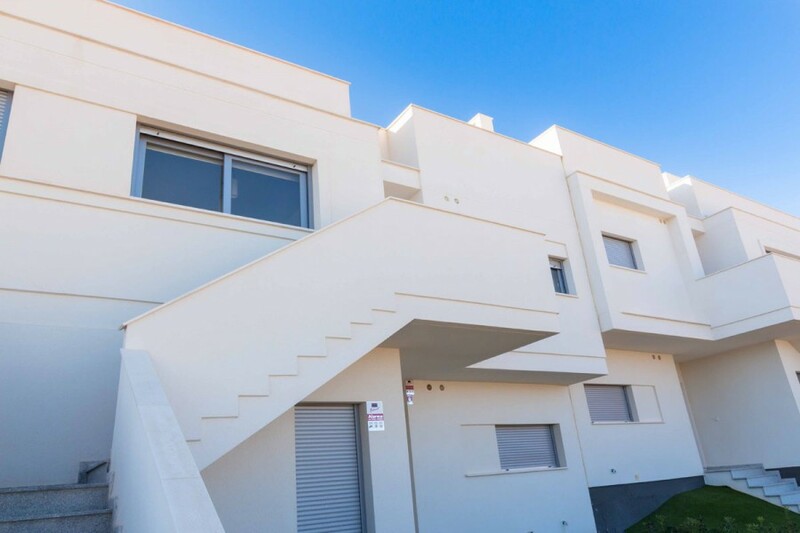 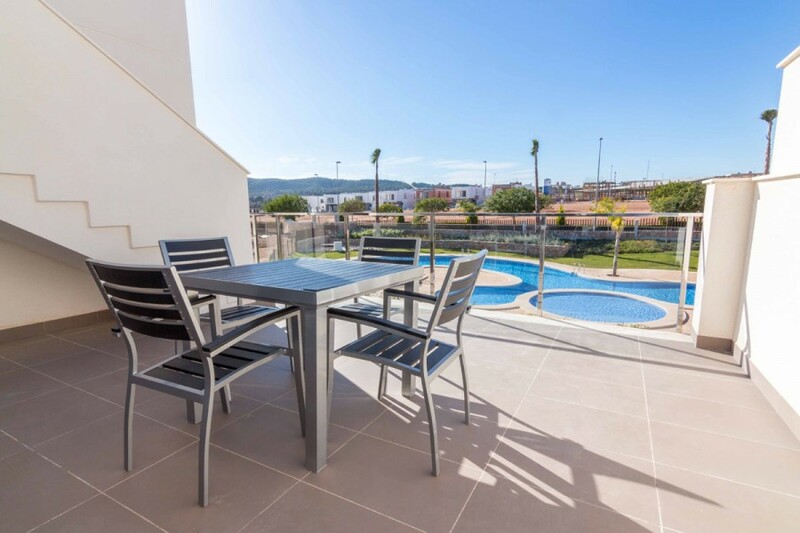 A lovely development of two or three-bedroom maisonettes located only a 15-minutes drive from the beautiful beaches of the Orihuela Costa which you can enjoy year-round thanks to the wonderful Mediterranean climate. 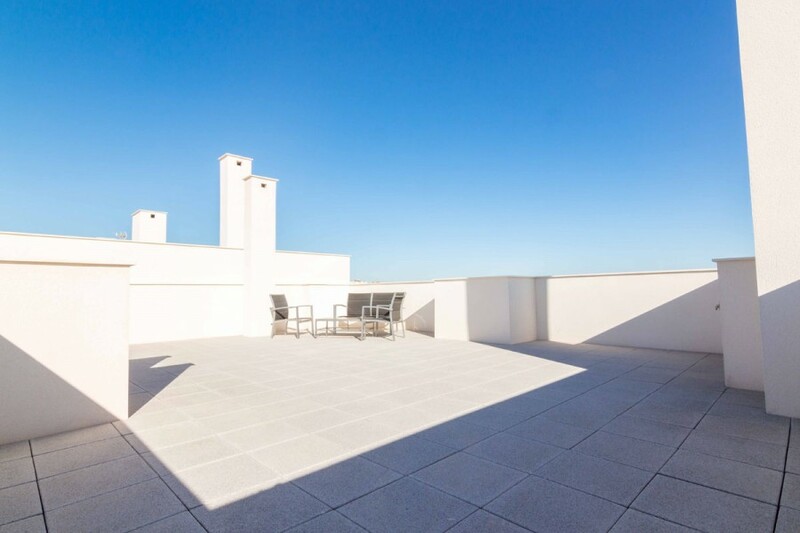 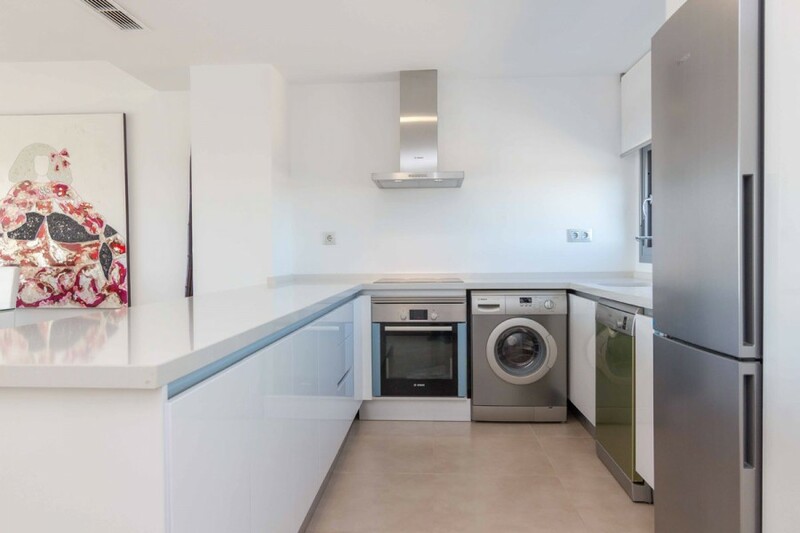 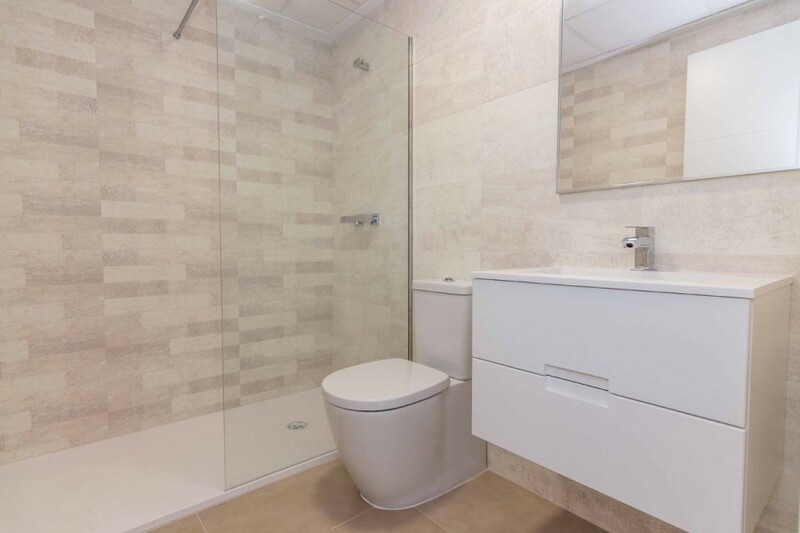 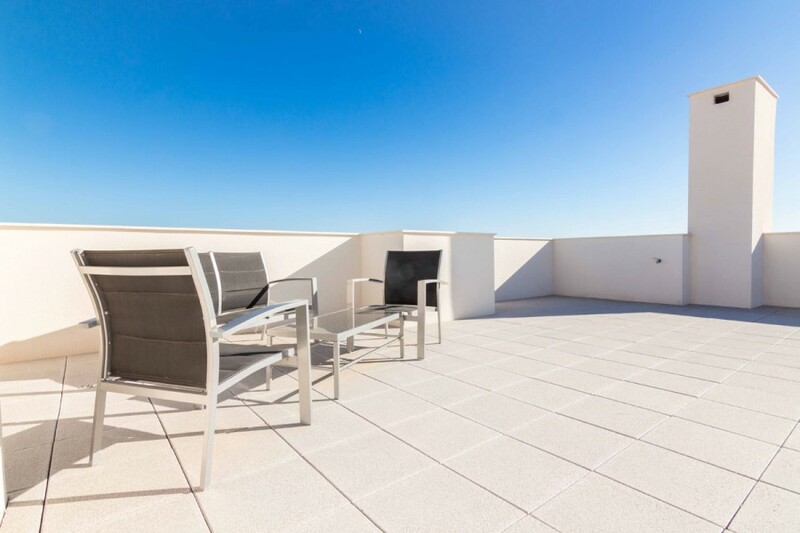 The properties comprise of two/three bedrooms, family bathroom, fully-fitted modern kitchen with breakfast bar and spacious open-plan living/dining area leading to either a private garden or rooftop solarium. 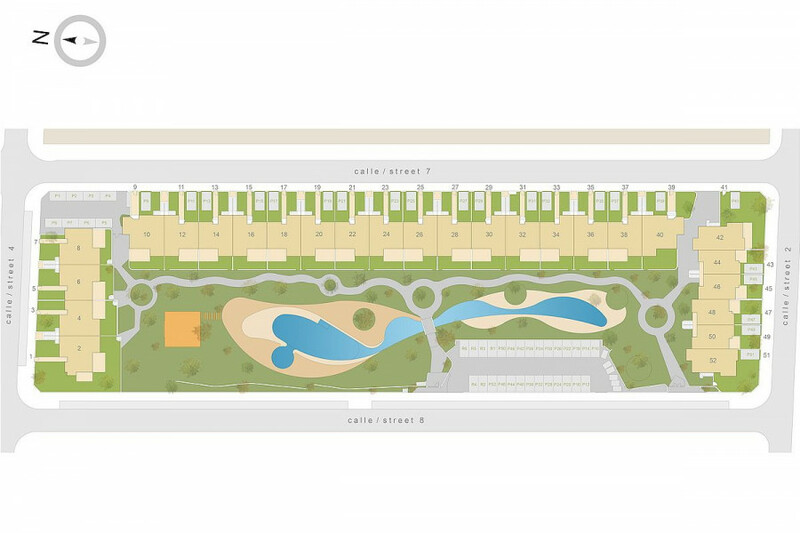 The development offers a communal swimming pool, Jacuzzi with different jets, showers, children's playground and off-road parking.